We have 2 Beautiful card sets in our range. 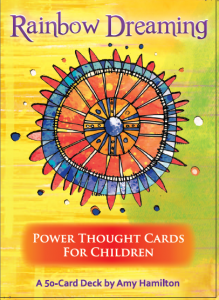 This beautifully illustrated set of 52 cards will teach children to focus on positive ideas, values and feelings and to develop their sense of self-worth. 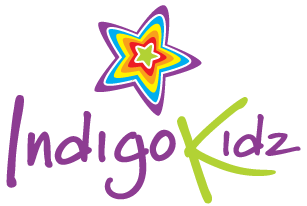 A fantastic way to build confidence and to empower children with positive thoughts to create wonderful life experiences. All of the Indigo Dreaming Positive Affirmation Cards have a positive affirmation with a values-based message that promotes positive thinking towards themselves and others. The set also contains three magical golden cards with special messages that will delight children of all ages. This set contains 52 cards that are beautifully illustrated using the colours of the rainbow and calming mandala’s.Each Rainbow Thought Card contains a powerful affirmation, statement or thought to promote positive thinking, provide inspiration and bring balance to a child’s life. 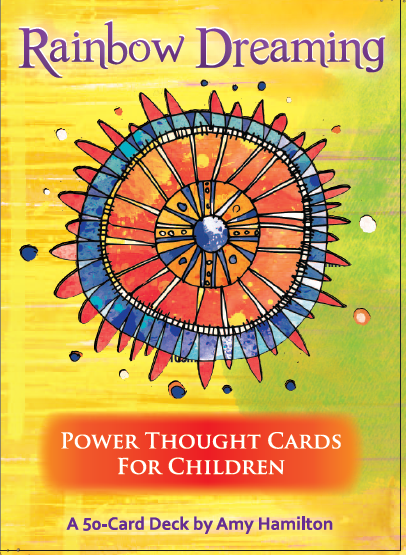 The cards help children tap into their inner strength and direct their mindset and perspective towards one of confidence and happiness.